Monday I will leave Kisoro, Uganda and travel to Ruhengeri, Rwanda. It is about 5 miles to the border and another 15 miles to the city of Ruhengeri. I expect the trip to take three to four hours. 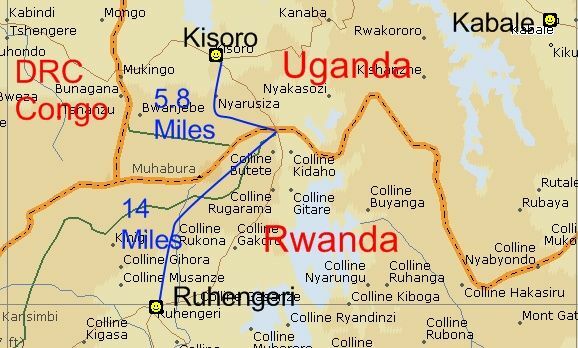 I plan on taking a Boda Boda Motorcycle taxi to the Rwanda border; I am not sure how I travel from the border to the city of Ruhengeri, Rwanda. The road to the border is gravel, however, I hear the road to Ruhengeri is great.